New title of genuine design. 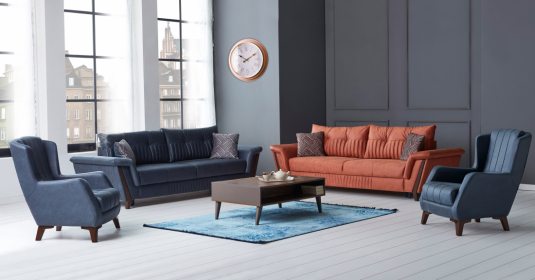 Manhattan sofa set which innovative design spirit is crowned was designed to allow you to spend your moments with beloved ones in most comfortable way. Manhattan which creates spacious and stylish rooms with its new generation suede texture fabric, synthesis concept of luxury with modern effects.